The area of Chu [楚] plays a major part historically in the culture of China. Since the Han [漢朝], this area has been populated by several different ethnic groups, and along with that, the implication of a mix of several different cultures. 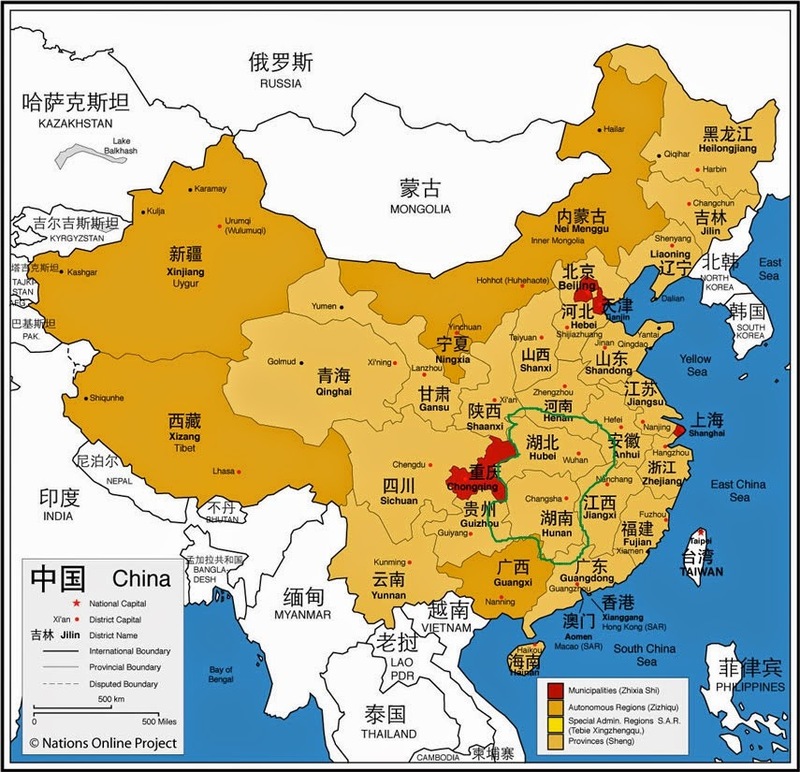 Besides the Han group, members of the Miao [苗族], Yao [瑤族], She [畬族], and Tujia [土家族] also populate this area. This melting pot of various ethnic groups has resulted in the deep and rich culture of Chu. Alongside with the Wuyue [吳越] and Bashu [巴蜀] branches, these three groups form the southern branch of the ancient culture of China. In the area of music, records of Chu music could be traced from the ancient texts as far back as Guoyu [國語], Zuozhuan [左傳], Lunyu [論語], Lüshichunqiu [呂氏春秋] and so on. This vast amount of records have aided scholars plentifully in their studies of the instruments and music of that era. In the present, the musical traditions of this area which includes Hunan [湖南], Hubei [湖北], southern Henan [河南], and the northern areas of Jiangsu [江蘇], Zhejiang [浙江], Anhui [安徽], and parts of Guizhou [貴州], Yunnan [雲南] and Guangdong [廣東], contain a very wide mix of styles and genres. There are various types of mountain songs [山歌], ditties [小調], working songs [號子], and various types of instrumental ensembles and operas. Despite the varied-ness, all these folk music possess certain attributes which are characteristic of the music of the Chu area. The area of Chu is a rich and mountainous land with the Yangtze river [長江] and several of its tributaries running through it. This rich land with favourable climatic conditions is the birth place of plenty of folk songs and musical traditions. With plenty of agricultural activities, there are a large number of folk songs revolving around the activities of farming such as this piece, Haocaoge [薅草歌]. The mountains in this area also make it difficult to access certain areas by foot even though they are near enough to be seen and heard. This results in certain styles of singing, such as the “flying songs” of the Miao tribe [苗族飛歌]. A study of the folk songs of this area by musicologist Fang Miao Ying [方妙英] has yielded the observation of the various modal organisation of the music. Three major modal systems can be found in the music of this area: the chuzi [楚徵] modal system, the chugong [楚宮] modal system and the chuyu [楚羽] modal system. Each of these modal systems gives a unique colour to the music. The chuzi modal system has the notes: sgraas the main pitch centres, although the entire scale can be made up of the notes: asdfqfghwjej. Three variants of this mode can be found, the gong mode [宮調式] within the chuzi modal system in which the note a is the central note; the shang mode [商調式] within the chuzi modal system in which the note s is the central; and the zhi mode [徵調式] within the chuzi modal system in which the note g is the central. Below is an example of a ditty in this modal system. The chugong modal system is frequently found in the folk music around Wuling [武陵]. This is an area that is populated by many other ethnic groups besides the Han group and this modal system can frequently be found in the music of these ethnic groups. This chugong modal system has the notes adg as the pitch centres but like the chuzhi modal system, the entire scale can be build from many other notes. asdfghj are all the possible notes of the scale in this modal system. Similarly, there can be the gong mode [宮調式] within the chugong modal system in which the note a functions as the pitch centre; the jue mode [角調式] in which d is the pitch centre; and zhi mode [徵調式] in which g is the pitch centre. Although on the surface, this appears similar to the major scale in Western classical music, there are fundamental differences between this mode and the major diatonic scale. In the major diatonic scale, there is a hierarchy of pitches with the dominant and tonic relation being the most prominent. Although there is also a hierarchy of pitches in this chugong modal system, it is not the g and the a relationship that dominates. Depending on the mode within this modal system, a,d or g can be the pitch centre, but there is no dominant to tonic type of relationship. Even though there may be broken chordal pattern of adg occurring within the melody, this does not imply a form of harmonic structure as found in Western classical music. Listen to the example below and hear the differences between this type of modal system with the major diatonic type of tonality. The chuyu modal system is a very unique mode in the music of this area. It is made up of the notes zdzqgzhaqsdgh. The main pitches in this scale are zdzhadg with the possibility of the yu mode [羽調式] with centricity on zhad and gong mode [宮調式] with centricity on adg. The yu mode gives a more mellow and darker colour whereas the gong mode is used to make the music have a brighter colour. The pitches qs and the qzg in the lower register give this mode its very unique colour. The above are only a brief mention of some of the types of folk songs of the Chu tradition. Here is also a link to an article about the terms tonality, modality and pitch-centricity which may be helpful to clear some of the confusion about the many many different kinds of modal systems found in Chinese music.